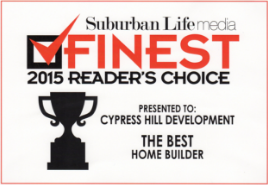 If you are looking for a home builder in the Oak Brook area, Cypress Hill Development is the answer. We believe that the process of building your new home should be a stress-free process, that is why we will be available every step of the way when completing your new home. We strive to make the entire building process is well-organized, well-managed, and cost-effective so you can genuinely enjoy it. When you are ready to learn of all the benefits of making us your new home builder, please call us at 630-241-9330 to speak with one of our expert associates that will be able to answer all of your questions. Or send us a message by simply filling out the form found on this page and we will contact you shortly. Our team has over 15 years of experience as a home builder. This means you can count on receiving the best results in the Oak Brook area. 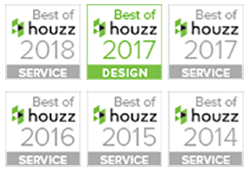 Our team is composed of experienced architects, expert techs, and knowledgeable support staff that ensures any of your concerns or questions you may have can be addressed, so you do not have to worry about anything throughout the construction of your new home. It also means that your new home will not just be a house, it will be your dream house. Cypress Hill Development is a home builder that has a strong focus on making sure that our homes are built with the environment in mind. Your new home will be constructed with the highest quality and eco-friendly materials available. We also install Energy Star appliances that use less energy without compromising performance. To learn more in regards to our services, or to select us as your home builder, please call 630-241-9330. You can also fill out the form found on this page to send us a message, and we will contact you as soon as possible.